Representatives from the FSM Embassy in Japan will be among the honored guests. 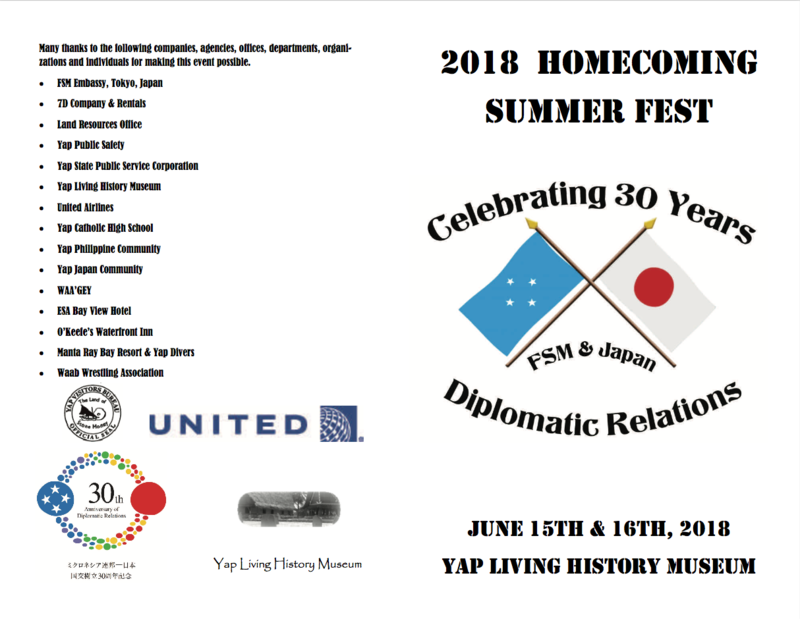 The formal program will include addresses by local and visiting dignitaries; entertainment by students from Yap Catholic High School; and, traditional Yapese and Japanese dance performances. 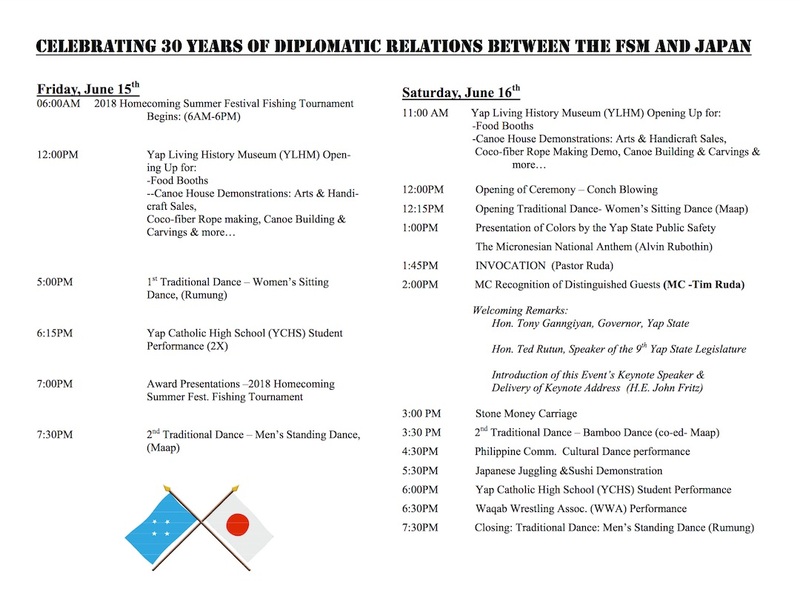 Participating in the event will also be local members of the Japan International Cooperation Agency (JICA) who plan to host a sushi stand, a Japanese treat that is found on every menu in Yap. Other student groups and local organizations are being invited to sell local food, handicrafts and other products in the festival’s marketplace. For more information about the festival or to rent a booth, stop by the Yap Visitors Bureau during normal business hours, call (691) 350-2298.